FISTF wishes it to be known that there is only one organisation in the United States of America that is the recognised association governing the sport on behalf of FISTF. 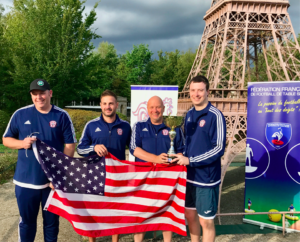 The American Subbuteo Association (ASA) is a member nation of FISTF and has the right to stage international events under the umbrella of FISTF, and send players to compete in the World Cup. Only the ASA is the true representative of Sports Table Football, using the approved FISTF laws of the sport, and working with FISTF to spread Sports Table Football to players and clubs. We continue to work with the ASA, its president Jonathan D Smith and the ASA Board, and the ASA will be the only authorised re-seller of the soon-to-be released FISTF Starter Sets in the USA.